It always seemed weird that Jeep had never offered an official Trailhawk-stamped version of its Grand Cherokee SUV. This is, after all, a brand built on the dream of pummelling the landscape into cowering submission each and every weekend, climbing unclimbable mountains and crossing uncrossable rivers, and yet there was never an off-road-maximised version of its best-selling model available straight out of the factory. The smaller Cherokee had a Trailhawk version. So did the bite-sized Renegade. And yet, the biggest and most-capable Jeep (outside of the built-for-purpose Wrangler) missed out. Weird, right? But no longer. Launched as part of the Grand Cherokee’s mid-2017 update, the Trailhawk model arrives with most of the off-road stuff applied straight from the factory, and is designed to appeal to those with campfire soot running through their veins. But what about the rest of us? Do the changes make this new version less liveable on normal suburban streets? We spent a week in one to find out. The Trailhawk model floats near the top of the Grand Cherokee range, above the Laredo and Limited, but below the Overland and performance-flavoured SRT and Trackhawk models. It will cost you $73,500 before on-road costs, but arrives pretty well-equipped for your money. The seats are nappa leather-trimmed fabric, while the steering wheel and gearshift (a new and conventional T-bar set-up, replacing the finicky 'one-touch' system on older cars) are leather-wrapped, too. 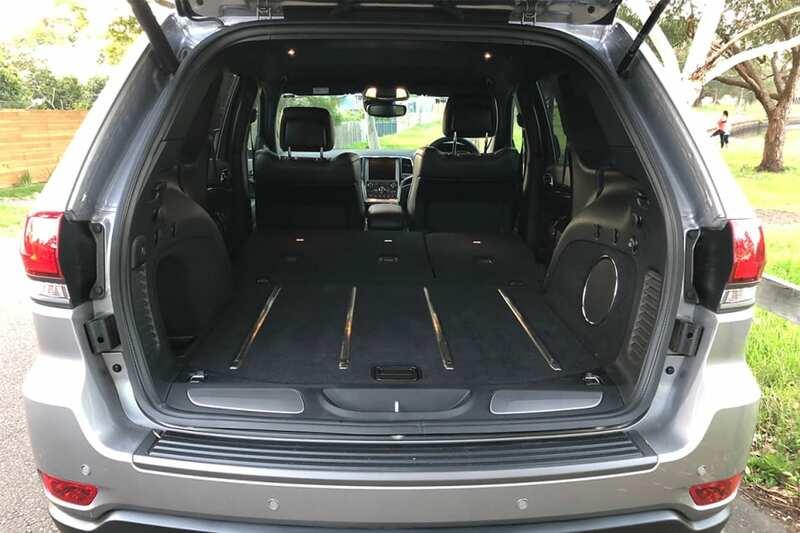 You’ll also find navigation, heated seats in both rows (also ventilated in the front), and push-button start with proximity unlocking, while a powered boot, roof rails and LED daytime running lights all appear outside as standard fit, too. The 8.4-inch multimedia screen nabs Apple CarPlay and Android Auto for the first time, and pairs with a nine-speaker Alpine stereo. But what about all this Trailhawk stuff? Well, an electronic limited-slip differential joins the standard kit list, as does improved air suspension that will boost ground clearance to an impressive 260mm in its highest setting. Underbody protection, including four skid plates, as well as front recovery hooks - painted a very fetching red - and a matt-black bonnet stripe (they reckon it helps with glare) complete the off-road-ready look. 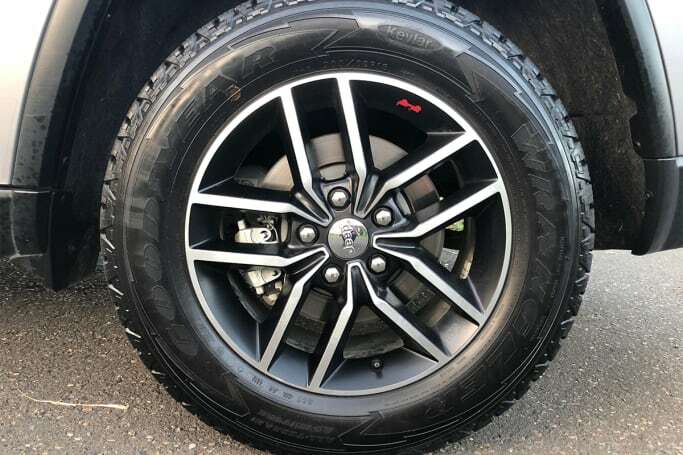 The wheels are now 18-inches (dropped from 20-inch on the road-focussed version), too, and they're wrapped in all-terrain rubber. Remember the old Grand Cherokee? Well, it looks a lot like that, only with a sprinkling of off-road toughness added for good measure. But that's not necessarily a bad thing. The biggest Jeep always offered a kind of big-and-tough road presence, and this Trailhawk dials that masculinity up an extra notch or two. Exterior changes overall are fairly minimal - a new version of the traditional seven-slot grille, tweaked headlights and LED DRLs - while inside, the biggest cabin change is the addition of the traditional gearshift for the automatic transmission, instead of the spring-mounted, self-centering lever of the old cars. Outside, you get red-rimmed badging, dual red recovery hooks up front and a cool silhouette of an old-school Willys Jeep imprinted on each of the alloy wheels. Inside, there's a big, clean and simple-to-use touchscreen in the middle of the dash, and there is some striking red stitching through the front seats. The cabin materials are soft under the touch, and while it's neither the most premium-feeling or technologically advanced cabin on offer, everything is easy to reach and easy to use. 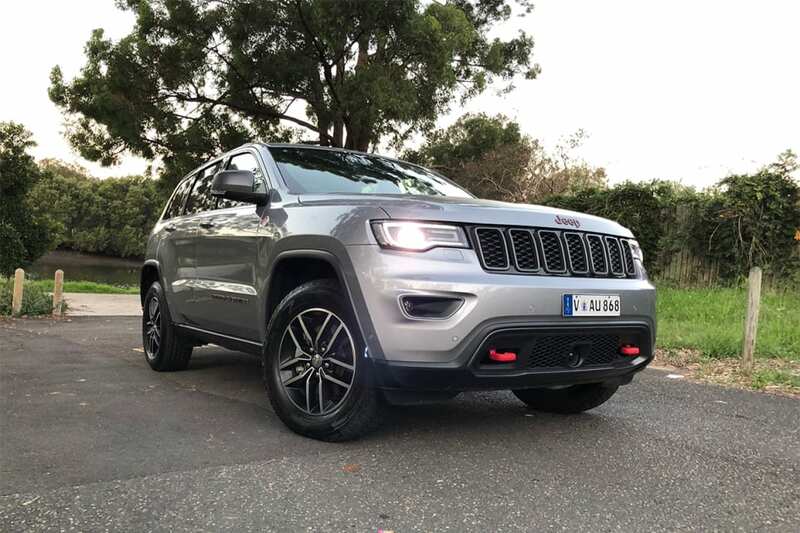 At 4828mm long and 1943mm wide, the Grand Cherokee Trailhawk is a bit of a behemoth, but that's never a bad thing for practicality. In the cabin itself you'll find an open and airy space for front-seat riders, sinking into American-soft chairs that are both heated and cooled. There are two cupholders up front, and bottle storage in each of the front doors. Beneath the dual-zone climate controls there's a lidded storage space that's also home to SD and USB points, as well as an 'aux-in' connection and 12-volt power source. A second power source is housed in the jumbo-sized centre console bin. Climb into the back, and you'll find air vents but no temperature controls, as well as dual USB points. The pull-down divider houses two extra cupholders, and there's room for bottles (but not much else) in the rear doors. The space in the backseat is genuinely massive, though - I could fit an entire extra set of legs between my own and the seat in front of me. Or I probably could, because surely trying it would be a tad creepy - and there's plenty of head and shoulder room, too. 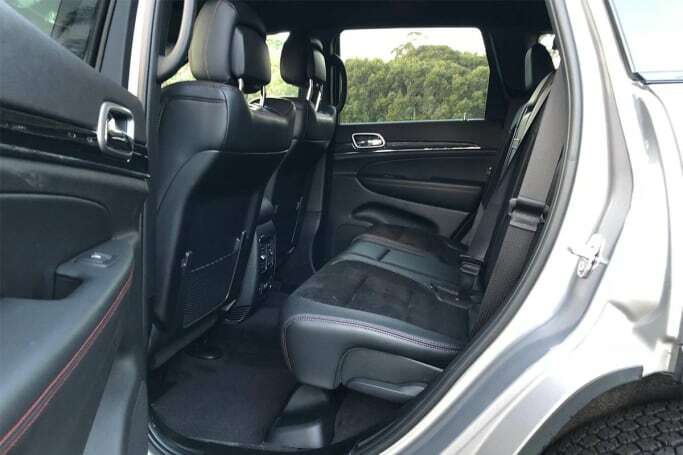 Two grab handles are mounted on the rear of the front seats as a nod to its off-road potential, and there's an ISOFIX attachment point in each of the rear window seats. 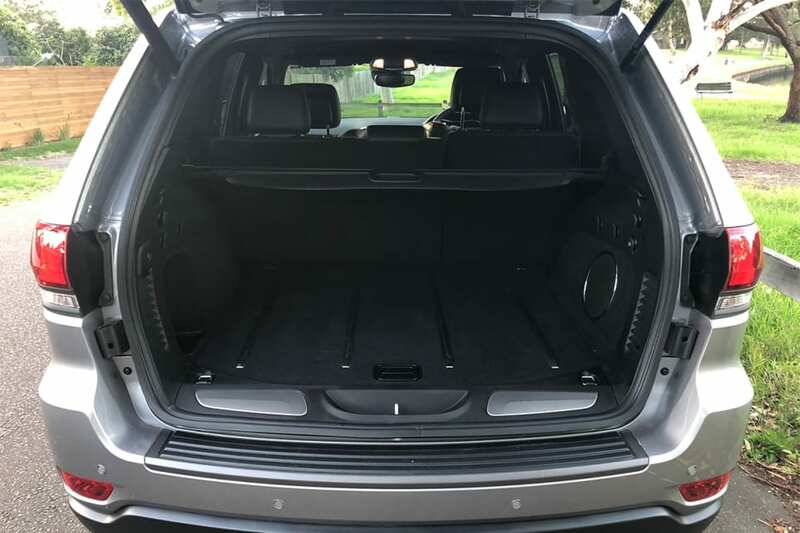 The boot space is a handy 1028 litres with the rear seats in place, and 1934L with them folded flat, and there are luggage clips on either side of the boot to stop your groceries rolling about. The Trailhawk version of the Grand Cherokee is a diesel-only proposition, packing the brand's 3.0-litre V6 under the bonnet. That engine will produce 184kW at 4000rpm and 570Nm at 2000rpm - enough for an 8.2sec sprint from 0-100km/h, and a 202km/h top speed. The braked towing capacity is a good 3.5-tonnes, too. It's paired with an eight-speed automatic and sends its power to all four wheels. Given this is Jeep's off-road-focused model, expect the brand’s 'Quadra-Drive' four-wheel-drive system with low range, extended-height air suspension, a limited-slip differential and hill assent and descent controls as standard as well. Jeep reckons you'll get 7.5L/100km on the combined cycle, but that's probably unlikely unless your right foot is filled with feathers. Emissions are pegged at 198g/km of C02. 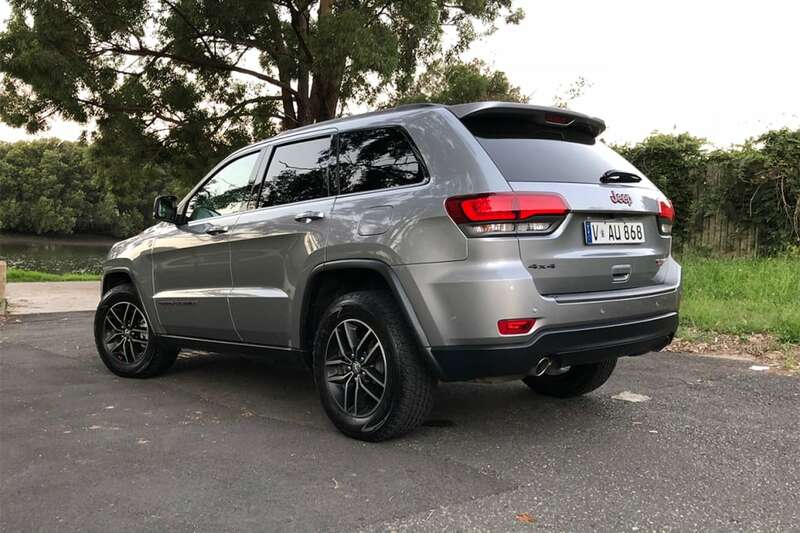 The Grand Cherokee sports a massive 93-litre tank, which is great for long-distance hauls, and less great when you have to hand over your credit card after you've filled up from empty. The reality of most truly off-road focused cars (the Wrangler, Defender, 70s Series LandCruiser - even the G-Wagon) is that they're so painful in the city and surrounds that you feel like driving them off a cliff rather than up one. 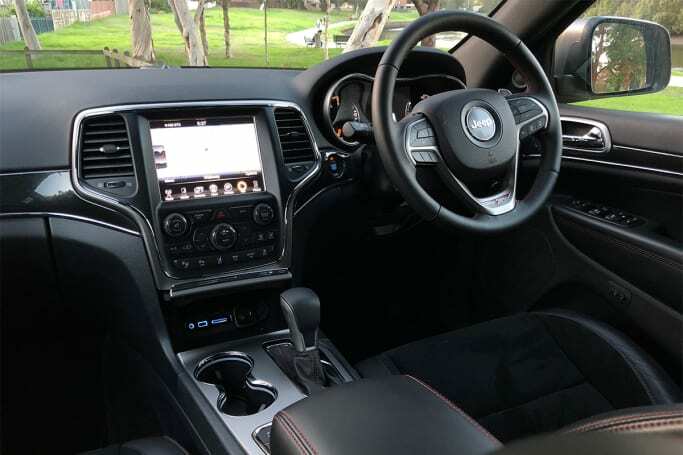 But the Grand Cherokee Trailhawk happily fits into another category entirely, one in which you can drive comfortably all the way to Mount Kosciuszko, then keep on driving right up the side of it, should the mood so take you. 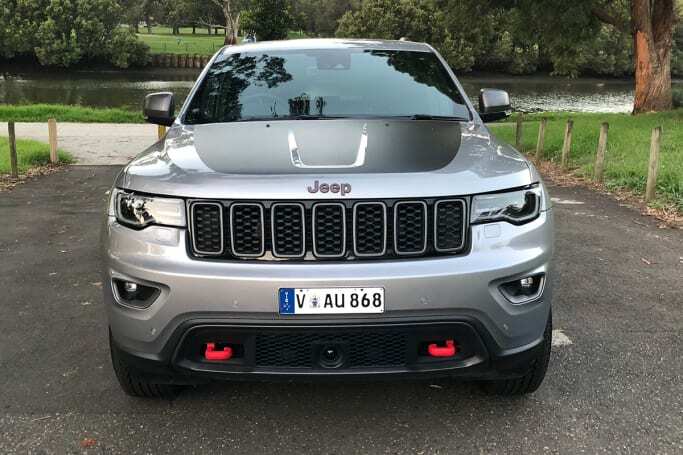 While I’ll leave the true off-road test to Carsguide's resident bush tucker connoisseur and adventure expert, Marcus Craft, I can happily report that, even if you just happen to like the look of the Trailhawk, you can easily live with one without ever taking it off the beaten path. It's American-levels of comfortable, and the ride is very good, soaking up almost everything you could possibly encounter, only jarring over the smaller, sharper imperfections. 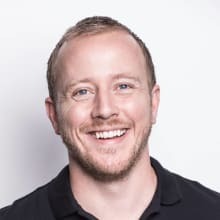 The trade off, of course, is that it feels floaty and disconnected when you ask too much of it. But let's face it, you're unlikely to be tackling too many racetracks. The transmission is impressive too - changing the in-cabin mechanism has done nothing to impact it’s operation - and it was smooth and intuitive with every shift. It does feel very heavy, though, and at slow speeds you can hear that big diesel engine working hard. 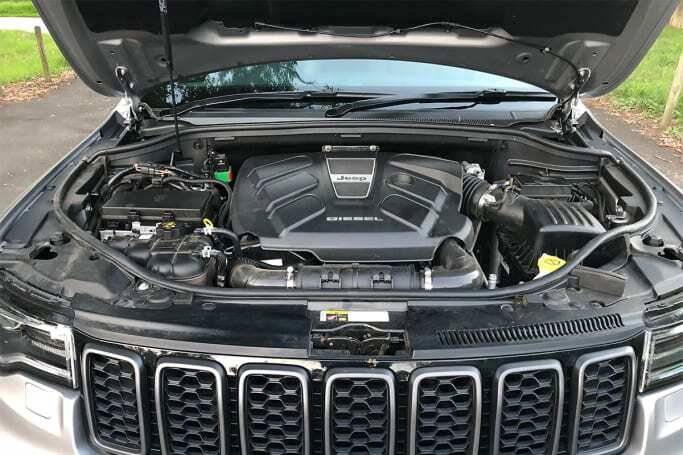 As a by-product, it can feel jerky off the line as you feed in more and more power to get the 2.3-tonne (tare) Grand Cherokee moving. And it still like an off-roader in the city - even if it's a slightly undercover one. There’s a vagueness to the steering system of most serious 4WDs, and the dynamics are tuned towards comfort over anything resembling performance. The safety story starts with driver and passenger front and front-side airbags, as well as a driver’s knee and curtain airbags. There’s hill ascent and descent control, as well as lane departure warning and lane assist. You’ll also get AEB that works at city speeds and above, and in reverse, as well as a reversing camera, rear cross-traffic alert, front and rear parking sensors and a park-assist function. The Grand Cherokee was awarded the maximum five-star ANCAP crash rating when tested in 2014. Jeep’s done some fine work with its warranty program of late, upping the period from three to five years, or 100,000km. The service periods have been stretched, too, now 12 months or 20,000km. There’s five years of capped-price servicing, too, and lifetime roadside assistance, provided you service through a Jeep dealership. The good news is, you can have a car that can tackle just about obstacle you can point it at, but still be very liveable in the suburbs. Is it the perfect city car? Nope. And if you never plan on going off-road, there are more dynamic options. But as a happy-medium between the bush and 'burbs, it's a happy fit. Would the Jeep Grand Cherokee Trailhawk meet your on- and off-road needs? Tell us in the comments below. 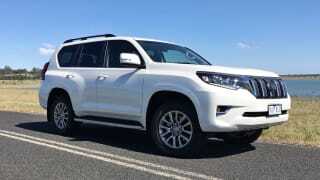 The heavily updated Toyota LandCruiser Prado range sees some big changes for 2018, with a new look, updated interior and added equipment across most models in the range. 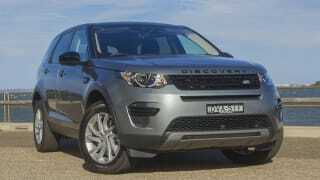 Land Rover is an interesting beast. For years there was the Defender, then the Range Rover, then the Discovery, and now suddenly there are Land and Range Rovers everywhere. 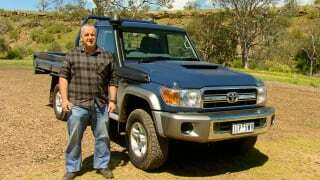 Marcus Craft road tests and reviews the latest update to the LandCruiser LC70 ute, wagon and TroopCarrier at its Australian launch.